Scenemascope: Top DSLR Filmmaking Cameras ! Ready to join the video revolution and shoot Hi-Resolution Videos with a DSLR? Here’s a look at key cameras in this fast-growing and rapidly-evolving category. Point-and-shoots with HD video recording have been around, with Kodak kickstarting this trend back in late 2007. The history of DSLRs with high-def movie capture, however, is a slightly shorter one, with the Nikon D90 taking the lead in 2008. Its thunder was soon stolen by the Canon EOS 5D Mark II, which boasts a 35mm full-frame sensor and 1080p-quality video recording. HD Video is the buzzword of the day. Nearly every DSLR introduced over the past two years has it, but the image quality, resolution, compression scheme and other factors vary greatly from brand to brand, and even from camera to camera within a brand. Let’s take a look at top models as well as up-and-coming new HD-enabled cameras and see which ones make sense for you. 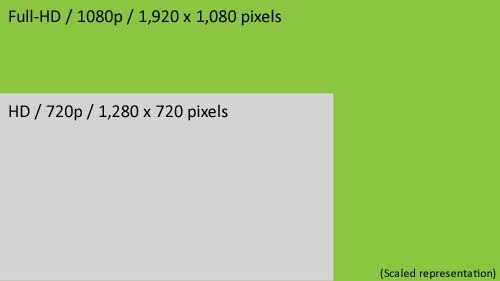 HD is usually used to indicate 720p where the frame resolution measures 1,280 x 720 pixels. Full-HD refers to 1080p and the frame resolution is 1,920 x 1,080 pixels. The fact that DSLRs employ much larger image sensors than compacts gives the former a huge advantage when it comes to video capture. Videographers are able to achieve more cinematic effects with shallow depth-of-field. The multitude of lenses available for each system also means that filmmakers have more flexibility when it comes to framing shots. Film studios have since explored using DSLRs for recording shows. Why go with a DSLR rather than a smaller camera? First, you get access to the vast array of lenses available for each brand's system and if you already own a stills-only DSLR, upgrading to a video-capable model makes sense. Most MILCs are not compatible with DSLR lenses without an adapter. The Skinny: If the Nikon D90 was the pioneer of HD Video, the Canon EOS 5D Mark II is the refinement that brought DSLR Video recognition as a serious tool for pro video production work. The first DSLR to offer full 1080p resolution, the 5DMII has been embraced by more videographers than any other DSLR. And with a 21.1MP CMOS full-frame sensor, it’s not too shabby when it comes to incredibly high-resolution still photography. Still Skills: 21.1MP CMOS full-frame sensor, 9 user selectable AF points, plus 6 vertical and horizontal AF assist points, 3-inch LCD monitor with 920k pixel resolution, 3.9fps burst rate, Live View, Face Detection AF, 35-zone TTL metering, ISO range 200-1600, expandable to 6400, shutter speed up to 1/8000 sec, X-sync 1/200 sec. The Skinny: A camera designed to appeal to both professionals and serious amateurs, the 7D is a full-featured DSLR for under two grand. Full HD at 30 frames per second combined with a rugged body and super-fast frame rate make this a great sports and photojournalism camera for both still and video newsgathering. Still Skills: 18MP APS-C CMOS sensor, ISO range 100-3200, extendable to 12,800, top shutter speed 1/8000 sec, x-sync at 1/250 sec, 63-zone TTL metering, 19-point all cross-type AF, 8fps burst rate, durable shutter, 100% viewfinder coverage, magnesium weather-resistant body. The Skinny: The big news here is manual focus control during video recording and full 1080p HD video in a camera, with a very high resolution articulating LCD making life easier for videographers. It’s a solid contender for the hearts and minds of photo enthusiasts looking to add motion. The Skinny: Its predecessor, the T2i (an aoutstanding camera that is still available) was called a "transformative" camera for its abilities to produce outstanding stills and true 1080p videos; the T3i adds a flip-out LCD monitor, native wireless control of off-camera flash, different aspect ratios, an in-camera guide that walks beginners through different settings, and an image-driven database. Still Skills: 18MP CMOS APS sensor, 3.7fps burst rate, 63-zone metering system, 9-poit AF, live view, ISO range 100-6400, 3-inch 1.04 million dot resolution LCD, top shutter speed 1/4000 sec, X-sync 1/200 sec. The Skinny: With the introduction of the D7000, Nikon has shown that it is getting even more serious about video. The first Nikon with full 1080p movie capture and a more generous 20 minute continuous shot limit, the D7000 offers a solid feature set for both video and still photography and although it’s priced for enthusiasts, we can expect some pros will employ it as a main video camera and backup still body. Still Skills: 16.2MP APS-sized CMOS sensor, ISO range 100-6400, expandable to 25,600, 2,016-pixel RGB matrix sensor, customizable 39-point AF system, bright glass pentaprism finder with 100% frame coverage, twin SD card slots, 3-inch, 921k dot LCD monitor, fully compatible with Nikon i-TTL wireless flash system, D-lighting. The Skinny: Designed for enthusiasts, the Nikon D5100 offers sophisticated metering and a fast 11-point autofocus system with virtually no lag time. It supports Nikon's full range of i-TTL flash system, and offers a range of special effects for still photos. The 16MP sensor delviers excellent image quality, even when shooting at higher ISOs in low light, and the high-resolution LCD flip-out monitor make it easier to view your stills and videos in progress. Still Skills: 16MP DX-format CMOS sensor, 3-inch 921k dot reslution finder. Effects mode isolates color within a scene, exposes for high-key and low-key images, miniature effects and more. ISO range 100-6400. In-camera HDR, 11-point AF system, 420-pixel RGB 3D Color Matrix Metering II, 16 exposure scenes, D-Lighting, automatic sensor dust cleaning. Max. recording time: 20 minutes. The Skinny: Nikon's starter DSLR was upgraded earlier this year to a 14MP CMOS sensor and an overhauled navigation system. Its biggest strength? Easy-to-navigate, explanatory menu system (thanks to the new Guide Mode), intuitive controls and lots of hand-holding. It's a great camera for anyone who is stepping up from the point-and-shoot world. Still Skills: 14MP CMOS sensor, 6 auto exposure modes (Portrait, Landscape, Child, Sports, Close-Up or Night Portrait), ISO range 100-3200, can be expanded to 12,800. 11-point autofocus, 3-inch LCD monitor. Face and scene recognition, D-Lighting expands dynamic range, in-camera image editing possible. Compatible with all Nikon flashes, extensive lens system. Other: Maximum movie recording time 10 minutes, Mono microphone. The Skinny: A full-frame pro camera, the D3s is capable of shooting up to ISO 102,400 (no, that’s not a misprint and yes, you can shoot videos at that ISO), and is designed for sports photography and photojournalism. Because of its larger sensor, expect even higher image quality at all ISOs and uncompromising quality. At its heart, this ruggedized pro tool is a still camera. 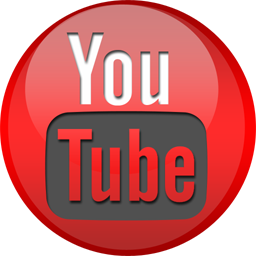 Its video feature, because of its 5-minute recording limit at full resolution, should be considered a bonus. Still Skills: Rated by DxOMark as one of the best high-ISO low light performers, the D3s has a 12MP full-frame sensor, burst mode to 9FPS, thethered shooting possible, 51-point AF system, 1,005-pixel 3D Color Matrix Metering II, scene recognition, dual CF card slots, horizon indicator, fastest shutter speed 1/8000 sec, 1/250 sec x-sync, 4,200 still images per battery charge. The Skinny: This is where the HD Video DSLR revolution began and even though it’s been around for over two years and is being phased out, the D90’s low cost makes it easy to get started while giving users entrée into the vast world of Nikon lenses. 5-minute limit on video clip length might limit some users. Still Skills: 12MP APS-sized CMOS sensor, 4.5 fps burst rate, ISO range 200-3200, 3-inch 920k LCD monitor, 11-point AF, live-view, 3D Color Matrix Metering II with scene recognition, in-camera image editing, geo-tagging unit available. Shutter speeds up to 1/4000 sec. The Skinny: The only high-end DSLR built around the 17.3x13mm APS sensor, the 12MP E-5 is a rugged camera designed for heavy-duty pro use. Successor to the popular E-3, the E-5 adds creative "Art Filters" so you can apply special effects in camera. A durable shutter, high-resolution flip-out LCD monitor, digital leveler, wireless flash control system, multiple exposure, a field-tested dust reduction system, in-camera image-stabilization, and what Olympus claims is the world's fastest autofocus complete the picture. Still Skills: Thixomold magnesium-alloy construction, splash and dust protection, shutter mechanism tested to 150,000 cycles, image stabilization claimed to compensate up to 5 shutter speeds, 100% high-eyepoint optical viewfinder and pentaprism, 3-inch, 920k dot swivel LCD, CF and SD card ports, 11-point fully twin cross AF system, 10 built-in Art Filters, multiple aspect ratios, wireless control with FL-36R and FL-50R flash units. IS range 200-6400, EV compensation + or - 5 stops, shutter speeds 60-1/8000 sec, 5 fps burst rate. The Skinny: The successor to the wildly popular K-7, this is a lightweight, ruggedized camera with a 16MP APS-C sensor, a 3-inch, 921k pixel resolution finder, built-in shake reduction, HDR and lots of features found on cameras costing considerably more. Still Skills: 11-point AF, ISO up to 51,200, shake reduction claimed to shoot at 2.5-4 shutter speeds slower, claimed improved digital noise, usable in temps down to 14 degrees F, 7fps burst rate, 77-segment metering, pentaprism finder with 100% field of view, shutter speed to 1/8000 sec, improved in-camera HDR, in-camera special effects, customizable RAW capture. 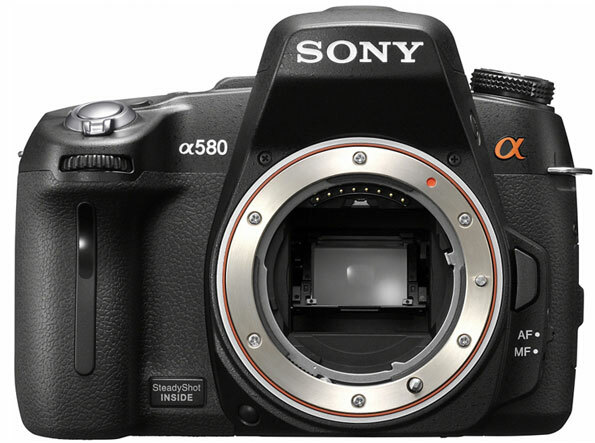 The Skinny: A low-priced mid-range DSLR, the Sony A560 has a 14.2MP APS-C sensor, and a tiltable 3-inch LCD monitor with 921.6K resolution. Offers AF during live view, AF during video, ISO to 12800, built-in image stabilization. Still Skills: Built-in HDR, 3D panorama, high ISO boost to 12,800 and native ISO range 200-1600, 7fps burst rate, 15-point AF sensor, eye-start AF, face detection, smile detection. The Skinny: A higher-resolution camera with a tiltable 3-inch LCD monitor and over 921k resolution, the Sony a580 is said to have faster autofocus, a more responsive live view, and Sony's fabled outstanding high-resolution performance. Still Skills: 16MP APS-C CMOS sensor, ISO up to 12,800, 7fps shooting speed, anti-dust technology, HDR and dynamic range optimizer,, Sweep Panorama, Face Detection. New technology promotes faster AF 8 scene modes. JPEG and RAW image capture. The Skinny: The GH1 is actually a Micro Four Thirds camera, not a DSLR, and uses an electronic viewfinder rather than an internal mirror/prism assembly. Consequently video is much easier to implement and this shows in the superior video specifications of the GH1. Recording full 1080p HD at 24fps, or 720p at 60fps in AVCHD mode, it can also shoot in the Motion JPEG format at 30fps if you prefer, in a range of sizes up to 720p. The built-in mic is Dolby Stereo, and there's a 2.5mm port for an external mic, such as Panasonic's own hotshoe mic, or a third-party model (for which you'll need a 2.5-3.5mm adaptor).